Is Boredom Making You Crave Unhealthy Foods? When you’re feeling bored, which food are you more likely to choose: chips or carrot sticks? There’s a very good chance the chip bag will be the food of choice. Research shows that when we become bored we crave fatty and sugary foods. This is one of the conclusions from the annual conference of the British Psychological Society in April. We’ve all been bored at one time or another. The feeling of boredom is hard to describe as it can vary depending on circumstances. Think of a time when you were sitting in a classroom and the teacher was droning on and on about a topic you were not interested in. That’s boredom. Or when you have nothing in particular to do, or your day has become dull or tedious, you feel bored. Now it looks like being bored is bad when it comes to making healthy food choices. British researchers wanted to put to the test how boredom affects people’s food choices by conducting two studies. In the first study, 52 participants filled out a questionnaire on their food preferences before and after completing a boring task of repeatedly copying the same group of letters. The second study had 45 participants watch either a boring or funny video. While watching the videos, they were offered a range of healthy and unhealthy snacks. To determine which foods were preferred, the bowls of food were weighed before and after each trial to see which snack food had been eaten the most. When people are doing a boring task they prefer unhealthy foods like sweets and fast food. The results from the first study showed when people are doing a boring task they prefer unhealthy foods like sweets and fast food. The second studies results showed those watching the boring video ate far more unhealthy foods. The lead investigator, Sandi Mann, a senior psychology lecturer at the University of Central Lancashire, said that the results of these two studies support the conclusions of previous research that people crave fatty and sugary foods when they are bored because their brains are not being stimulated. “This strengthens the theory that boredom is related to low levels of the stimulating brain chemical dopamine and that people try to boost this by eating fat and sugar if they cannot alleviate boredom in some other way,” she said in a press release. Basically, it’s highly unlikely people who are bored will be choosing bananas, broccoli or Brussels sprouts to relieve their state of dullness. So since we all experience boredom at one time or another, what can we do to not make unwise food choices? Get Rid of Junk Food. Buying foods high in fat and sugar will only tempt you when bored. Purge your pantry of these foods, then when boredom strikes, you won’t have them around to fall back on. Make a List of Enjoyable Activities. If you have nothing planned for the day that can spell a snacking disaster if the feeling of boredom creeps into your head. Not that you have to be doing something at every moment, but do have ideas for fun activities to buffer yourself against using food as your “go to” boredom cure. Break Up Your Daily Routine. Monotony throughout the day can be a big boredom booster. 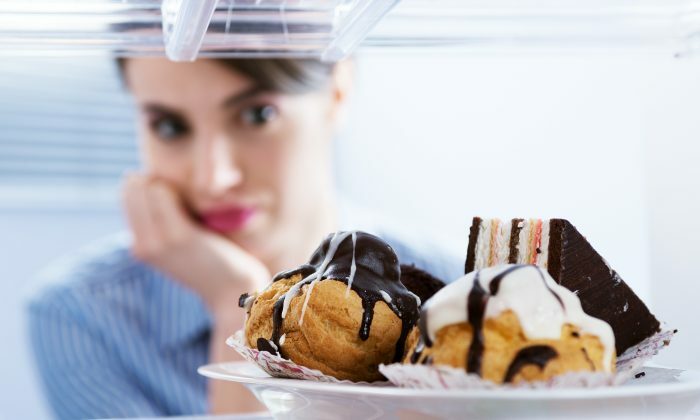 Routines can be good but if each day is always the same with little or no variety boredom can set in quickly, setting you up to seek out more pleasure by eating the wrong foods. Break up your routine by switching up where you eat—eat in a different room or go outside for a change of pace. Use different tableware or stimulate your creativity by setting your table in an attractive and inviting way. Buy a cookbook with healthy recipes and plan out the week’s menu of diverse healthy foods you’ve never tried before. When you give your brain different types of stimulation you’ll find boredom can be beaten back.